WELCOME TO ASPEN LAKES NEWEST DEVELOPMENT! GORGEOUS CUSTOM TO BE BUILT BY MASTERCRAFT HOMES. A MODERN STYLE & UNIQUE DESIGN W/OPEN CONCEPT LIVING RM W/CULTURED STONE FIREPLACE TO FABULOUS GOURMET KITCHEN W/GRANITE OR QUARTZ TOP. 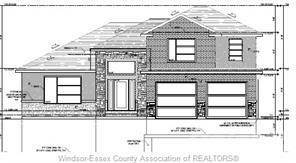 BDRMS SEPARATED BY LRG BATH & LAUNDRY, MASTER SUITE INCLUDES ENSUITE W/CERAMIC/GLASS SHOWER, DBL VANITY & HIS/HERS WALK-IN CLSTS. 4TH LVL IS FINISHED W/ADDT'L BATH, FAMILY RM & GRADE ENTRANCE TO GARAGE. WALK OUT SLIDE GLASS DOORS TO COVERED PATIO AREA. ATTENTION TO DETAIL W/EVERY DESIGN & ROOM TO GROW! ASK ABOUT ADDITIONAL PLANS & PRICING. QUALITY THAT'S BUILT TO LAST! VISIT www.andrewjsmithrealty.com OR CALL ANDREW J SMITH TODAY !! Hi, I'd like to find out more information about 1631 CLEARWATER. Thanks so much!